We only have one Earth so it’s such a shame that we, as humans, don’t take better care of it! It’s true that we can’t fix all the damage that has already been done or control what the masses do. However, each of us can do our part in trying be a bit more conscious of our conservation efforts. That doesn’t mean you have to go enter pick lines or live in treetop camps. Sometimes just simple actions can add up to major change. Earth Day 2015 (which is today, April 22nd) is a great reminder of that! As new mobile devices continue to roll out around the world, the question is what do we do with our old ones? Instead of collecting all of your unused cell phones in a random box somewhere, why not recycle them? Verizon has a fantastic Device Recycling Program so those used devices don’t go to waste. There are two options to choose from when turning in your devices. One option is to trade the device in for a Verizon Wireless Virtual Gift Card or get a credit applied to your Verizon Wireless Account. The other option is one that deserves consideration. 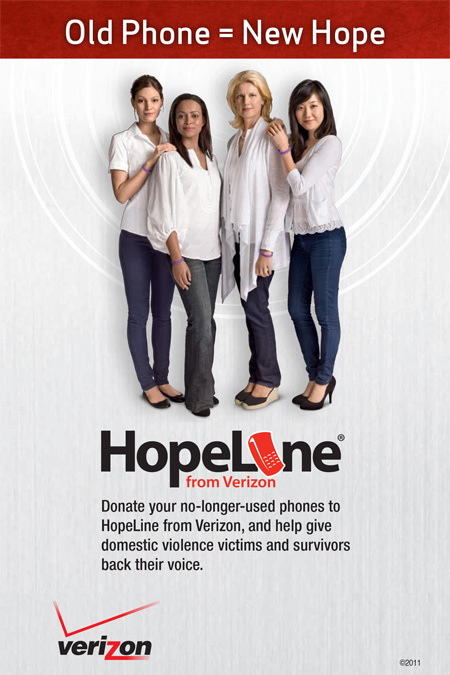 Devices can be donated to HopeLine® from Verizon, a program that provides support to victims and survivors of domestic violence. I think HopeLine is a wonderful program. So many women are in such abusive relationships and, sadly, financial dependance is often a factor in them staying. For those that muster the courage to escape, the more support they can get the better. I know some amazing women that have had to endure horrible mental, emotional, and physical abuse at the hands of their mate. It’s heartbreaking to even think of what they’ve had to go through or may still be going through. If you have old devices to get rid of or are just sitting around collecting dust, visit the Verizon Device Recycling Program to see how you can put them to better use. For devices from other carriers, check out out this Device Recycling website. What are you doing for Earth Day 2015? This post is part of my participation in the #VZWBuzz Lifestyle Ambassador program. All opinions are my own. Love this program! I need to donate a couple of our old devices.